Hunter Douglas Rebates – Season of Style Sale Starts Today! 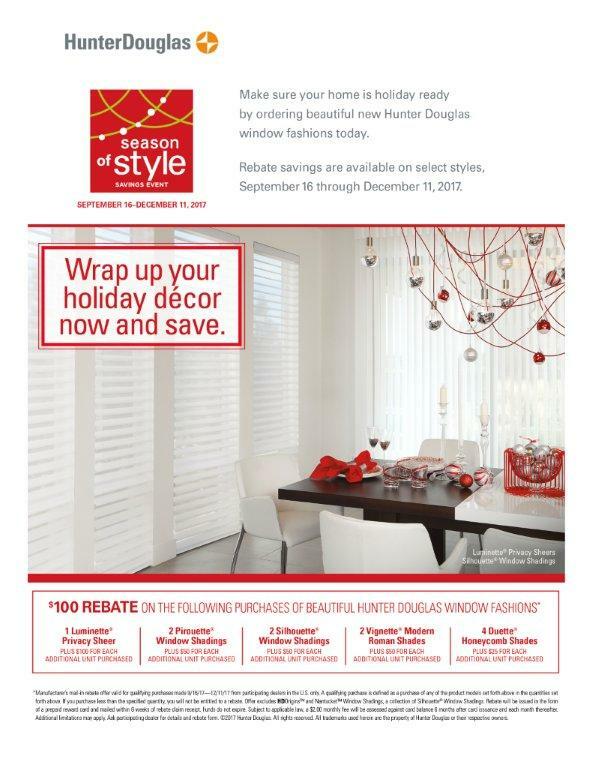 | Alcher Interiors, Inc.
Hunter Douglas Rebates – Season of Style Sale Starts Today! Hunter Douglas’ Season of Style sale starts today, and runs through December 11, 2017. Make sure your home is holiday-ready with rebates on a number of different Hunter Douglas window treatments.